I don't normally believe in personality tests. How can a test tell me who I am, by only asking me a few questions? I mean, what if I thought I had to put in the answers that someone else wanted to hear (for example, at a job interview)? Also, my answers could be greatly affected by how I'm feeling at that moment. 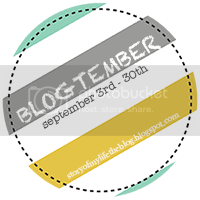 So I was a little hesitant to do today's post for Blogtember, which asked us to take this one. It looked short, and it was free, so I went on ahead. I must admit, at the end of it, I felt like I had been nicely summed up in a nutshell - with some minor objections. 1. Often underappreciated - at home, work or play. Ironically, because they are reliable and loyal. - Yes and no. I get a lot of praise at work. True for most of my past romantic relationships. 2. Pleasant and reliable as employees, harried and uncomfortable as supervisors. - Very true. I used to be in retail management for a few years, and I was constantly stressed and rushing around like a lunatic. Now that I am no longer in charge of anyone but myself, I'm like the zen master. 3. Possessive of loved ones... must learn to adjust and not interpret others' actions as rejection. - I... I got nothing. Nothing but shame! 4. Take infinite trouble over meals, gifts, celebrations. - This is very true. And damnit I expect it back! 5. Has few, close friends - extremely loyal. - Quality over quantity all the time. - Au contraire. I uh, normally start them. 7. Unable to hide distress. Cannot articulate problems due to good manners. - Yes, my emotions tend to be plastered all over my face. But I will not tell you that I urgently need to go to the bathroom, because my mama brought me up to be a polite little lady. Kidding aside, some of the explanations for my personality type made me step back and take a really good look at myself. Looks like these types of tests do have uses after all. Sept. 9 Blogtember topic: Take this short personality test and respond to your results. I didn't take that particular one, but I took a different one at one point and got INFJ which a video I watched on it referred to as "nature's psychologists". I guess that's fitting since I'm pursuing an MA in counseling psychology.